On October 30, 2018, Ambassador He Xiangdong met with Ambassador Ismail Wais, IGAD Special Envoy for South Sudan. Ambassador Wais briefed Ambassador He the implementation of RARCSS and said that Chinese government’s support to the IGAD-led High Level Revitalization Forum was a key factor for the success of the Forum. 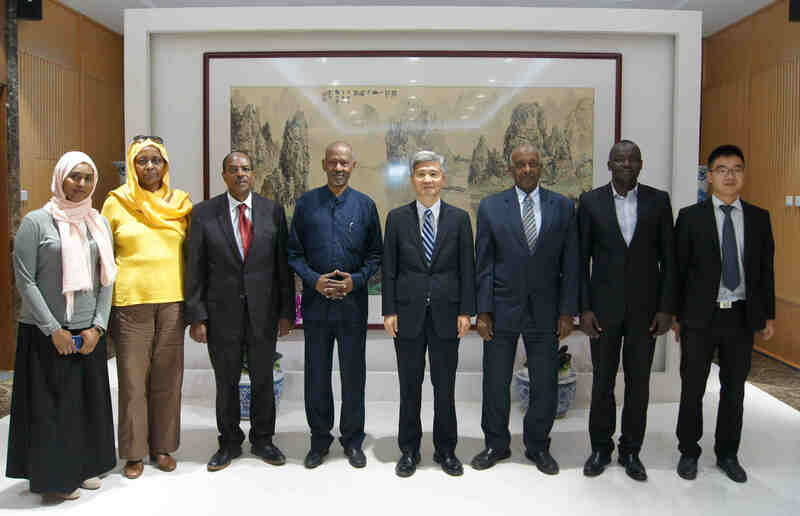 IGAD hopes that China could continue to lend its valuable support to relevant institutions of IGAD during the implementation phase of the revitalized agreement to jointly promote peace and stability in South Sudan. Ambassador He said that China always supports the settlement of African issues by African people through African ways and supports IGAD to play a unique role in South Sudan's peace process. China commends IGAD and Ambassador Ismail Wais for their efforts to promote the signing of RARCSS. China hopes IGAD keeps on pushing all South Sudanese parties to fully implement the newly signed agreement. Ambassador He reiterated China’s commitment to promote peace and stability in South Sudan along with international community.